Nauru (Nauruan: Naoero, or ), officially the Republic of Nauru (Nauruan: Repubrikin Naoero) and formerly known as Pleasant Island, is an island country in Micronesia in the Central Pacific. Its nearest neighbour is Banaba Island in Kiribati, 300 kilometres (186 mi) to the east. It further lies northwest of Tuvalu, north of the Solomon Islands, east-northeast of Papua New Guinea, southeast of the Federated States of Micronesia and south of the Marshall Islands. With 10,084 residents in a 21-square-kilometre (8.1 sq mi) area, Nauru is the smallest state in the South Pacific and third smallest state by area in the world, behind only Vatican City and Monaco. Settled by people from Micronesia and Polynesia c 1000 BCE, Nauru was annexed and claimed as a colony by the German Empire in the late 19th century. After World War I, Nauru became a League of Nations mandate administered by Australia, New Zealand and the United Kingdom. During World War II, Nauru was occupied by Japanese troops, who were bypassed by the Allied advance across the Pacific. After the war ended, the country entered into UN trusteeship. Nauru gained its independence in 1968. 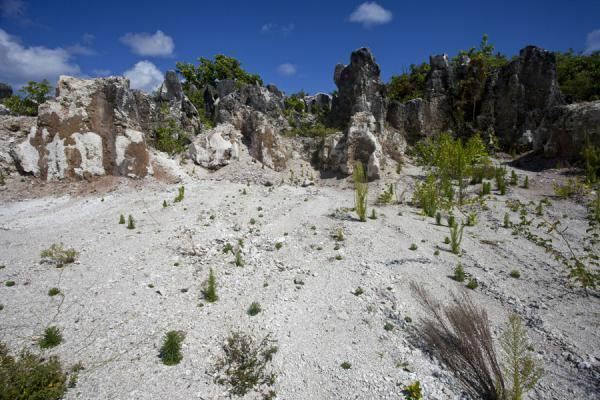 Nauru is a phosphate rock island with rich deposits near the surface, which allowed easy strip mining operations. It has some remaining phosphate resources which, as of 2011, are not economically viable for extraction. Nauru boasted the highest per-capita income enjoyed by any sovereign state in the world during the late 1960s and early 1970s. When the phosphate reserves were exhausted, and the island's environment had been seriously harmed by mining, the trust that had been established to manage the island's wealth diminished in value. To earn income, Nauru briefly became a tax haven and illegal money laundering centre. From 2001 to 2008, and again from 2012, it accepted aid from the Australian Government in exchange for hosting the Nauru detention centre. As a result of heavy dependence on Australia, many sources have identified Nauru as a client state of Australia. It is the world’s smallest island country. The US does not have an embassy in Nauru. It is a small, oval-shaped island. It was discovered by a British navigator in 1798. Nauru was first inhabited by Micronesians and Polynesians at least 3,000 years ago. There were traditionally 12 clans or tribes on Nauru, which are represented in the 12-pointed star on the country's flag. 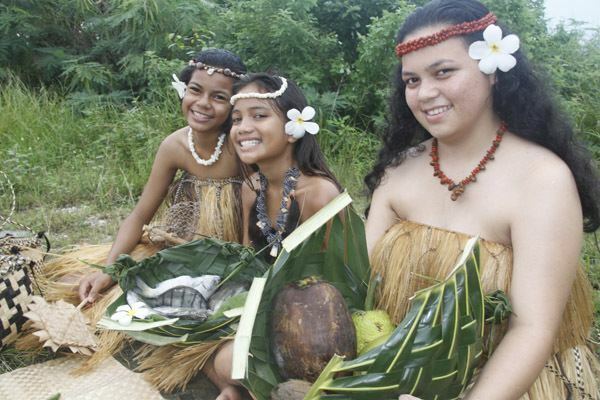 Traditionally, Nauruans traced their descent matrilineally. Inhabitants practised aquaculture: they caught juvenile ibija fish, acclimatised them to fresh water, and raised them in the Buada Lagoon, providing a reliable source of food. The other locally grown components of their diet included coconuts and pandanus fruit. The name "Nauru" may derive from the Nauruan word Anáoero, which means "I go to the beach." After an agreement with Great Britain, Nauru was annexed by Germany in 1888 and incorporated into Germany's Marshall Islands Protectorate for administrative purposes. The arrival of the Germans ended the civil war, and kings were established as rulers of the island. 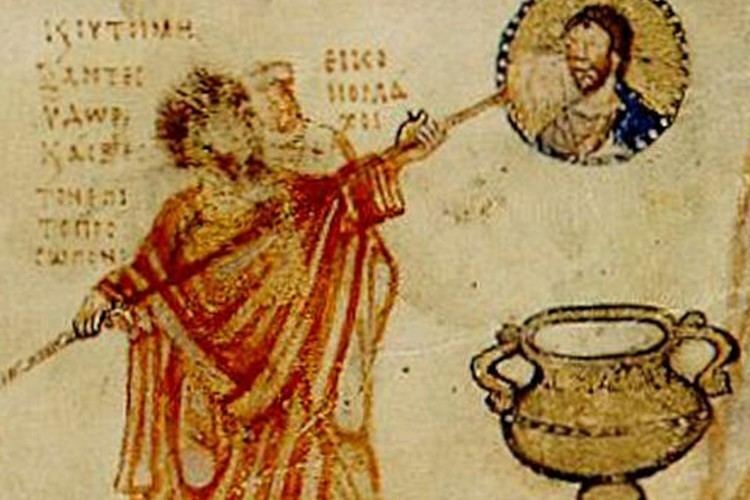 The most widely known of these was King Auweyida. Christian missionaries from the Gilbert Islands arrived in 1888. The German settlers called the island Nawodo or Onawero. The Germans ruled Nauru for almost three decades. Robert Rasch, a German trader who married a Nauruan woman, was the first administrator, appointed in 1890. Phosphate was discovered on Nauru in 1900 by the prospector Albert Fuller Ellis. The Pacific Phosphate Company began to exploit the reserves in 1906 by agreement with Germany, exporting its first shipment in 1907. In 1914, following the outbreak of World War I, Nauru was captured by Australian troops. In 1919 it was agreed by the Allied and Associated Powers that His Britannic Majesty should be the administering authority under a League of Nations mandate. The Nauru Island Agreement made in 1919 between the governments of the United Kingdom, Australia and New Zealand provided for the administration of the island and for working of the phosphate deposits by an inter-governmental British Phosphate Commission (BPC). The terms of the League of Nations Mandate were drawn up in 1920. The island experienced an influenza epidemic in 1920, with a mortality rate of 18% among native Nauruans. In 1947, a trusteeship was established by the United Nations, with Australia, New Zealand, and the United Kingdom as trustees. Under those arrangements, the UK, Australia and New Zealand were a joint administering authority. The Nauru Island Agreement provided for the first Administrator to be appointed by Australia for 5 years, leaving subsequent appointments to be decided by the three governments. However, in practice, administrative power was exercised by Australia alone. Nauru is a 21 square kilometres (8 sq mi) oval-shaped island in the southwestern Pacific Ocean, located 55.95 kilometres (35 mi) south of the Equator. The island is surrounded by a coral reef, which is exposed at low tide and dotted with pinnacles. The presence of the reef has prevented the establishment of a seaport, although channels in the reef allow small boats access to the island. A fertile coastal strip 150 to 300 metres (490 to 980 ft) wide lies inland from the beach. 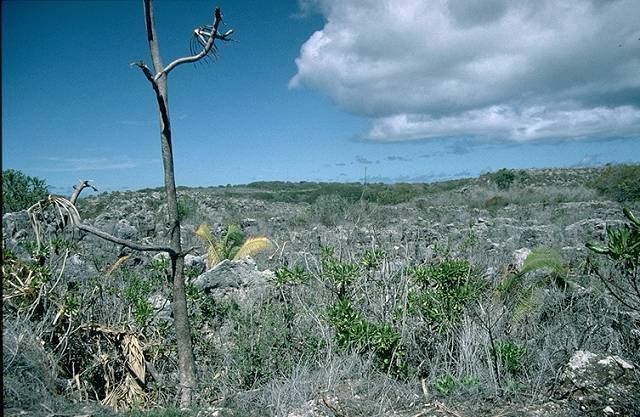 Nauru was one of three great phosphate rock islands in the Pacific Ocean, along with Banaba (Ocean Island) in Kiribati and Makatea in French Polynesia. The phosphate reserves on Nauru are now almost entirely depleted. Phosphate mining in the central plateau has left a barren terrain of jagged limestone pinnacles up to 15 metres (49 ft) high. Mining has stripped and devastated about 80% of Nauru's land area, and has also affected the surrounding Exclusive Economic Zone; 40% of marine life is estimated to have been killed by silt and phosphate runoff. Nauru's climate is hot and very humid year-round because of its proximity to the equator and the ocean. Nauru is hit by monsoon rains between November and February, but does not typically experience cyclones. Annual rainfall is highly variable and is influenced by the El Niño–Southern Oscillation, with several significant recorded droughts. The temperature on Nauru ranges between 26 and 35 °C (79 and 95 °F) during the day and between 22 and 34 °C (72 and 93 °F) at night. A significant portion of Nauru's income has been in the form of aid from Australia. In 2001, the MV Tampa, a Norwegian ship that had rescued 438 refugees from a stranded 20-metre-long boat, was seeking to dock in Australia. In what became known as the Tampa affair, the ship was refused entry and boarded by Australian troops. The refugees were eventually loaded onto Royal Australian Navy vessel HMAS Manoora and taken to Nauru to be held in detention facilities which later became part of the Howard government's Pacific Solution. Nauru operated two detention centres known as State House and Topside for these refugees in exchange for Australian aid. By November 2005, only two refugees, Mohammed Sagar and Muhammad Faisal, remained on Nauru from those first sent there in 2001, with Sagar finally resettling in early 2007. The Australian government sent further groups of asylum-seekers to Nauru in late 2006 and early 2007. The refugee centre was closed in 2008, but, following the Australian government's re-adoption of the Pacific Solution in August 2012, it has re-opened it. Amnesty International has described the conditions of the refugees of war living in Nauru, as "horror". Because of mismanagement, the Trust's fixed and current assets were reduced considerably and may never fully recover. The failed investments included financing Leonardo the Musical in 1993. The Mercure Hotel in Sydney and Nauru House in Melbourne were sold in 2004 to finance debts and Air Nauru's only Boeing 737 was repossessed in December 2005. Normal air service resumed after the aircraft was replaced with a Boeing 737–300 airliner in June 2006. In 2005, the corporation sold its property asset in Melbourne, the vacant Savoy Tavern site, for $7.5 million. There are no personal taxes in Nauru. The unemployment rate is estimated to be 90%, and of those who have jobs, the government employs 95%. The Asian Development Bank notes that, although the administration has a strong public mandate to implement economic reforms, in the absence of an alternative to phosphate mining, the medium-term outlook is for continued dependence on external assistance. Tourism is not a major contributor to the economy. From 2001 to 2007, the Nauru detention centre provided a significant source of income for the country. The Nauruan authorities reacted with concern to its closure by Australia. In February 2008, the Foreign Affairs minister, Dr Kieren Keke, stated that the closure would result in 100 Nauruans losing their jobs, and would affect 10 percent of the island's population directly or indirectly: "We have got a huge number of families that are suddenly going to be without any income. We are looking at ways we can try and provide some welfare assistance but our capacity to do that is very limited. Literally we have got a major unemployment crisis in front of us." The detention centre was re-opened in August 2012. The Nauru 2017/18 budget, delivered by Minister for Finance David Adeang, forecasted $128.7 million in revenues and $128.6 million in expenditures and projected modest economic growth for the nation over the next two years. Nauru had 9,591 residents as of July 2016, making it the only sovereign state other than Vatican City with a population of less than 10,000. The population was previously larger, but in 2006 1,500 people left the island during a repatriation of immigrant workers from Kiribati and Tuvalu. The repatriation was motivated by wide-scale reductions-in-force in the phosphate mining industry. It is the least-populated country in Oceania. 58% of people in Nauru are ethnically Nauruan, 26% are other Pacific Islander, 8% are European, and 8% are Han Chinese. Nauruans descended from Polynesian and Micronesian seafarers. 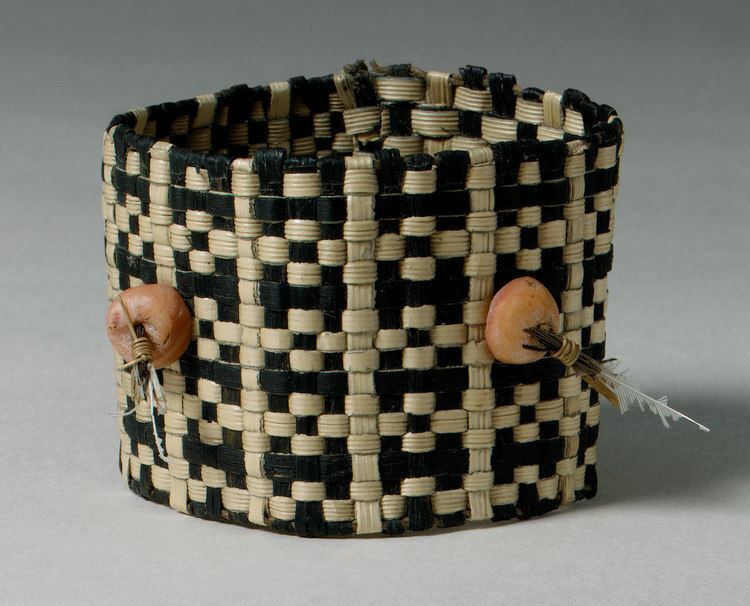 Two of the 12 original tribal groups became extinct in the 20th century. The official language of Nauru is Nauruan, a distinct Pacific island language, which is spoken by 96% of ethnic Nauruans at home. Australian rules football is the most popular sport in Nauru – it and weightlifting are considered the country's national sports. There is an Australian Rules football league with eight teams. Other sports popular in Nauru include volleyball, netball, fishing and tennis. Nauru participates in the Commonwealth Games and the Summer Olympic Games. By measure of mean body mass index (BMI) Nauruans are the most overweight people in the world; 97% of men and 93% of women are overweight or obese. In 2012 the obesity rate was 71.7%. Nauru has the world's highest level of type 2 diabetes, with more than 40% of the population affected. Other significant dietary-related problems on Nauru include kidney disease and heart disease.